Song details - PALO! - Afro-Cuban Funk Band - "Camina Con Los Codos"
I’ve always loved the saying “camina con los codos” to describe a cheap person. The phrase “camina con los codos” literally means “He walks with his elbows”. I assume it refers to someone who is so cheap that he doesn’t want to wear out his shoes. I wanted to write a song about that, and I put it together with a beat I’d been working on. The beat was a funky tribute to the great Mambo innovators. I was thinking mostly of Perez Prado, Tito Puente, Machito, and Cachao. Leslie and I wrote the coro and the verse melody, and then left it to Roly – Leslie’s cousin – to come up with some verse lyrics. Then we adapted those lines to our music. This song became a great vehicle for Ed Calle’s virtuosity. I’m always amazed at the wide array of incredible melodic and harmonic variety he’s able to generate on a song that basically has one chord! The percussion groove and rhythmic blocks add so much spiciness to the track. Timbalero Raymer Olalde and conguero Philbert Armenteros originally created their parts live. We first experimented with the song back in 2003 when we started the group at Little Havana’s legendary Hoy Como Ayer. The song evolved into what you hear on the album. 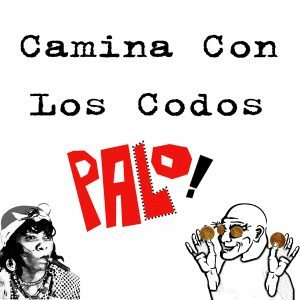 “Camina Con Los Codos” grew even further as we played it over the years, and the live version is featured on our Grammy- and Latin Grammy-nominated album PALO! Live.